Jude Southerland Kessler here. I was doing some research on Robert Freeman and The Beatles and came upon your wonderful site. Thanks for all you do! 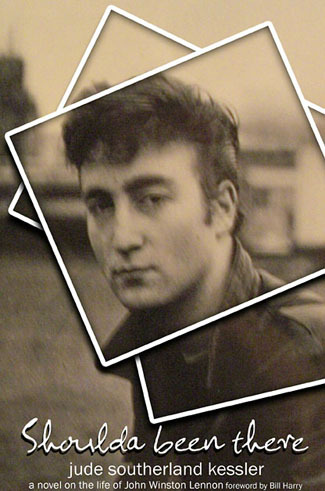 I’ve been working for the last 26 years on The Lennon Series, a 9-volume expanded biography of John’s life. The first volume, “Shoulda Been There”, (covering 1940-Dec.1961) came out about 4 years ago. 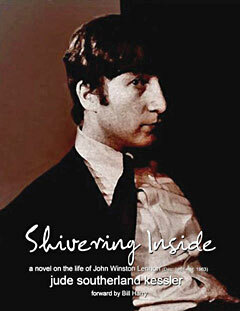 And the second volume, “Shivering Inside” (covering Dec. 1961-mid-April 1963) came out in 2010. Right now, I’m working on the third book, “She Loves You” (mid-April 1963 – end of 1965) now. All total, the series will take 46 years of research and writing to complete. If you have a moment, I’d be honored if you’d check out the website at www.johnlennonseries.com. And thank you for helping me with my research! I’ll be sure to include you in the acknowledgments for “She Loves You”. Thanks so much for getting in touch Jude – and good luck with the huge Beatles writing and research task you have undertaken. I’m staggered by your 9-book, 46 year project! For those wanting to find out more there’s an interesting text interview with Jude Southerland Kessler at Daytrippin’ Beatles Magazine. You can also listen to an extensive interview at Happy Nat’s The Beatles Rarity. To learn more go to www.ontherockbooks.com. Click here to have a bit of a look inside the Kindle edition of “Shivering Inside”. This entry was posted in Beatles, Beatles Books, Beatles Collecting, Beatles Music, John Lennon and tagged Beatles, Beatles Books, Beatles Collecting, John Lennon, Jude Southerland Kessler, Shivering Inside, Shoulda Been There by beatlesblogger. Bookmark the permalink. I **LOVE** Jude Southerland Kessler’s books. I’ve read her second book, “Shivering Inside” twice! I’ve also interviewed her for my own blog. She’s the real deal—smart, knowledgeable, and gracious. “Shivering Inside” gives an amazingly comprehensive treatment to the Beatles one-day “Please Please Me” album session. Her “enhanced biography” style brings a new dimension to Beatles lit.